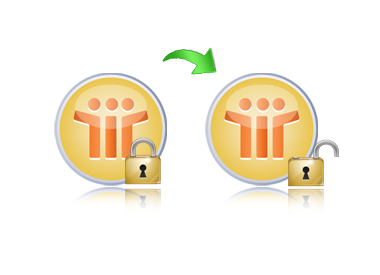 Not Authorized to Access Lotus Notes Database? When you encounter the errors like, "Not authorized to access lotus notes database" then you can get rid of this problem and regain access to your Lotus Notes database by using our software. So, if the error, 'not authorized to access lotus notes database locally', pops up on your screen, which pops up great trouble for you, then using Securase software will help you remove Lotus Notes error. After evaluating the software with the help of the freebie Demo Version, you must have got a fair idea about the working process of our tool. So, now you can invest into the Full Licensed Version of Securase software for removing NSF security and for getting rid of the trouble that arises after error emergence (not authorized to access Lotus Notes database). After you order for our product, you will get the product activation key immediately. You can use the tool to remove local security settings from unlimited NSF databases. After you make the purchase of our tool via our secure Server, your product activation key will be sent to you at the end of the purchase process via email. Personal License: A single Personal license allows only Single Computer (Not for Multiple Computers) to install and use the product to single person on one workstation. Business License: A Business license allows all users of a company to install and use the product on unlimited number of computers at a single location/premises. Business License has product update for 1 year only not for lifetime. License for one person to use the program for non-commercial purposes in non-business, non commercial environment at one computer. That is, you only intend to use it at home for private use. Personal License is meant for only Single Computer (Not for Multiple Computers). License for one person/organization to use the program in a business, corporate, academic, or government environment at mutiple computers. Product license will be assigned product update for 1 year only not for lifetime to the organization name provided at the time of purchase.